I’m Terry Thompson of Why Not? Re-Creations. I work full time and I’m a very energetic, colorful, sociable person. I love fashion, color, and sparkle. Handmade gives me a grounded calming feeling. Just the thought of putting something together that makes me smile and will make another person smile warms my heart. When it works and comes together my head can’t stop creating and it is an exhilarating feeling. What is something fun, interesting and/or personal about you and your business? My husband plays a very important part in my business by helping me decide on the final touches. He is my sounding board, my rock and my biggest supporter. How did you get interested in becoming a maker? What do you love about it? My friend and I were in Kingston one day in the artist alley and I saw some glass art. 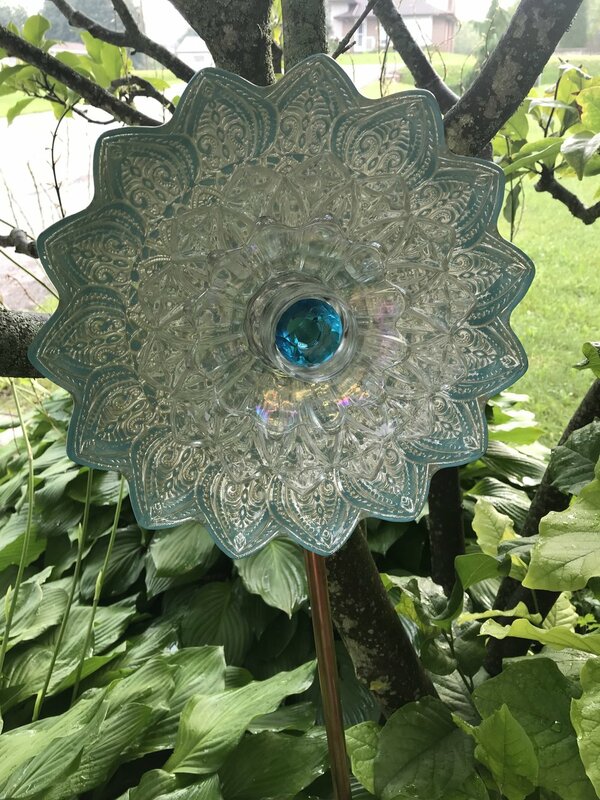 It made me think, Why Not use recycled glass instead, and create something that the sun will make sparkle. That’s how I came up with my garden art, which I’ve now evolved into pieces for the indoors as well. I love upcycling and creating beautiful things that make people smile! What is it that you specialize in within the crafting/handmade goods world? 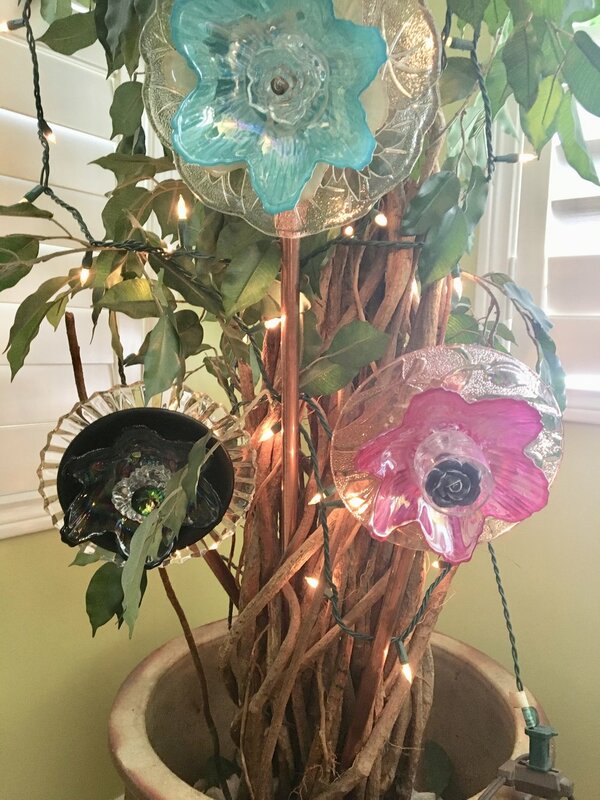 I specialize in creating pieces out of recycled glass, porcelain, china, silver etc. How do you think your artistic community sees you? My artistic community sees me as a very creative, colorful, always evolving artist. Some of my returning customers can’t wait to see what I come up with next. I love a challenge on custom orders! I was very impressed by the demand for recycled products. I hope this will encourage more crafters or artists to rethink the way they create. Even including a little bit of recycled material will build awareness and help the environment in the long run. Follow WHY NOT? RE-CREATIONS on Instagram + Facebook! Shop WHY NOT? RE-CREATIONS at the Nooks PORT HOPE!